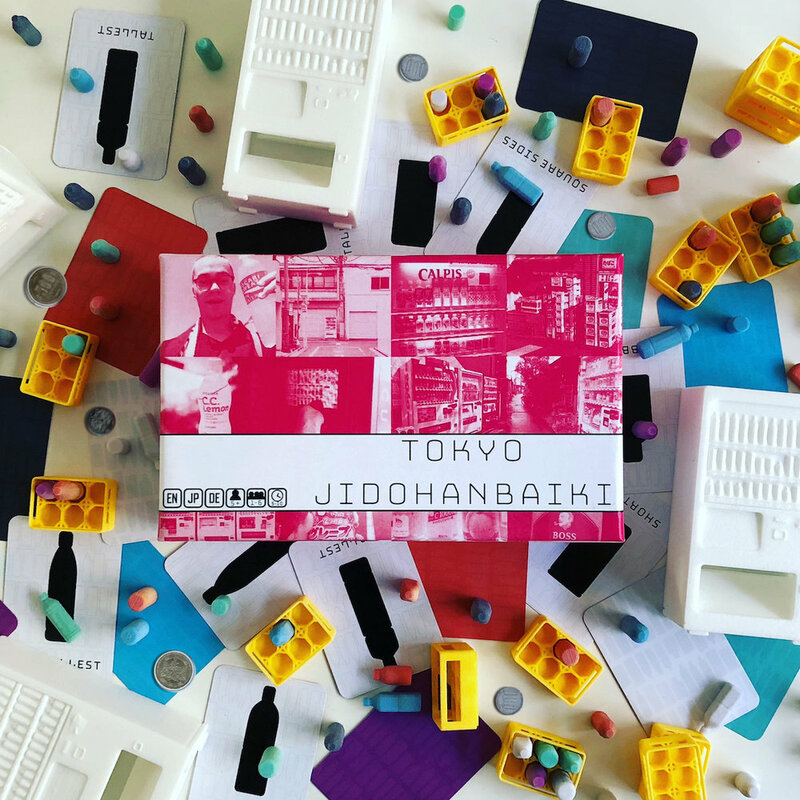 Jidohanbaiki (vending machine in Japanese) is a framework game with pieces that are used to create many other games! With the help of talented guest designers, over 20 games can be played out of the box. Not only are scale model 3D miniature Japanese drinks included in the game, but also a jidohanbaiki tower that the drinks can be dropped into, where they may become stuck, or knocked out again later! The vast quantity and selection of vending machine drinks in Japan is astonishing. This game was inspired directly from purchasing drinks in Tokyo, and that exciting moment of trying something new.